Urban Grape. Photo by Hadley Douglas. 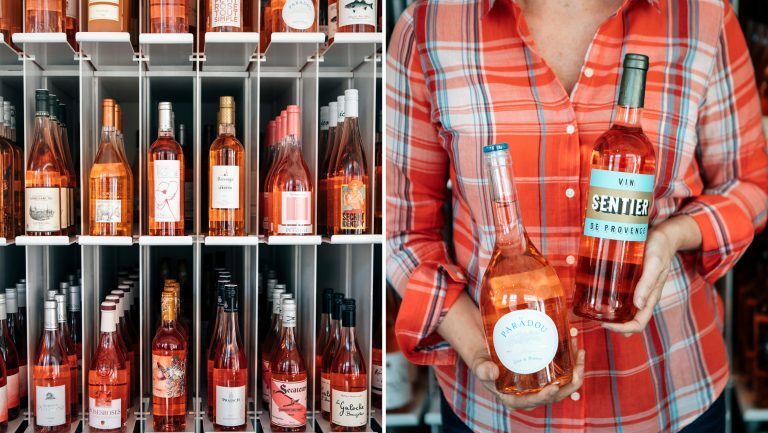 With rosé season ramping up, retailers across the country are increasing their inventory and prepping in-store displays to start moving bottles of the crowd-pleasing pink-tinged “summer water” at greater volume. Rosé’s crisp freshness and easy-to-pair flavor profile has helped make it a year-round staple on retail shelves and wine bar lists, but competition within the growing category heats up in the warmer months. SevenFifty Daily spoke with buyers at six retail stores to find out how they keep their selection unique—and competitive—all year long. Don’t underestimate the power of a striking display. A store’s setup plays an important role in attracting return customers. The setup is typically one of the first things customers think of when recalling a specific shopping experience. Distinguishing your rosé section—not just from other sections in the store but from other shops in the surrounding area—helps make it stand out in customers’ minds and motivates them to return. “We make an entire rack and call it Rosé Island,” says Duey Kratzer, the owner of Mondo Vino in Denver, a wine and beer shop that’s known for its many under-the-radar selections. Kratzer says that the shop puts out 50 to 60 different rosés at a time, year-round. 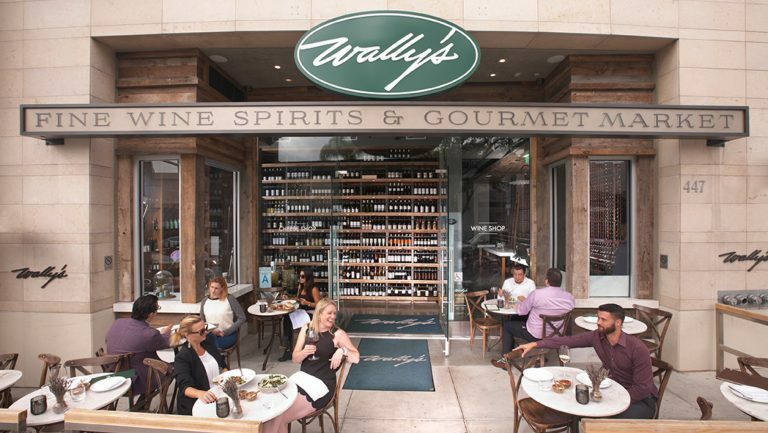 He says that the store’s rosé sales have been consistently increasing since he opened the business 18 years ago. During that time, they’ve risen 10 to 15 percent, and he attributes the increase to the fact that people are now embracing the concept of year-round rosé consumption. Rosé Island. Photo courtesy of Mondo Vino. Maintaining a diverse selection of producers and styles is another way to help set your rosé offerings apart from those of competitors. 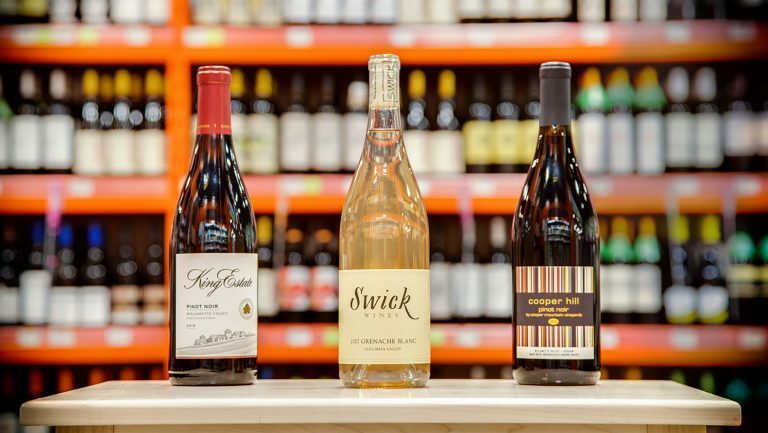 Steve Delp, the CEO of Good Libations Wine & Spirits and The Wine Shoppe in Myrtle Beach, South Carolina, also emphasizes the importance of offering rosés made from an assortment of grape varieties, as well as wines that possess varying degrees of dryness to sweetness. 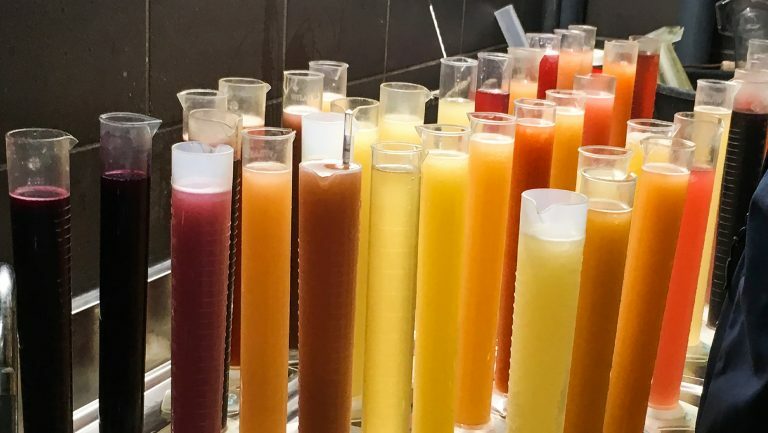 Delp says that he and his staff taste and evaluate all samples that come into the store, and they keep track of bottles that have sold well in previous years, taking them into consideration when making stocking decisions. “We don’t just set our selection and then never change it,” he says, noting that his stores are constantly rotating the rosés they stock. In just two and a half years since purchasing The Wine Shoppe—whose previous owners stocked only six rosés—Delp now proudly boasts a selection of approximately 55 rosés at all times. 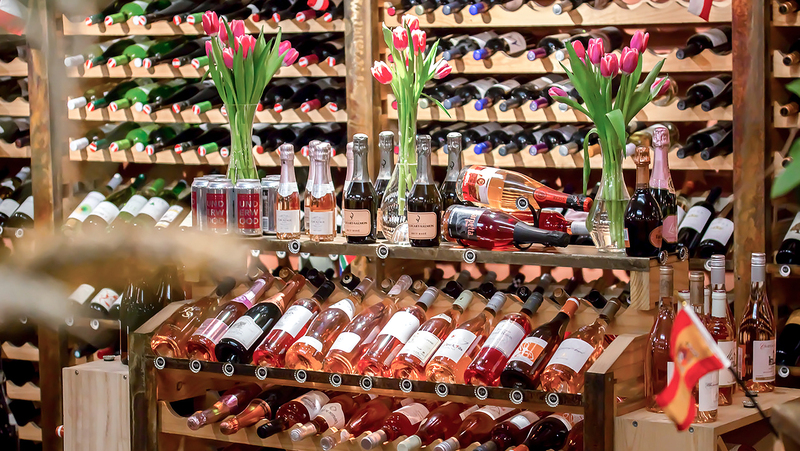 The Urban Grape in Boston’s South End carries 100 to 120 rosés on the shelf at all times, and the shop’s owner, buyer, and general manager, TJ Douglas, says that just about every bottle is sold. The store sold approximately 4,200 bottles of rosé in 2015, 7,000 in 2016, and 8,000 in 2017. Douglas credits the growth to the increasing number of people who are buying rosé year-round. He recommends looking past Provence for unique rosé offerings, and homing in on lesser-known regions for great value and flavor profile. “My tactic is to keep it varied, so we’re not just selling an Aix-en-Provence style of rosé,” he says, adding that the wines from Macedonia and Oregon are of particular interest to him. Douglas and his staff also seek to educate Urban Grape customers on rosé with every sale made by talking to them about the category and the specific wines they’re purchasing. He says it makes the customers eager to try something new and leads to easier sales the next time they visit. “As the demand for rosé has grown, the number of available wines has become staggering,” says Jesse Salazar, the wine director of Union Square Wines in New York City. 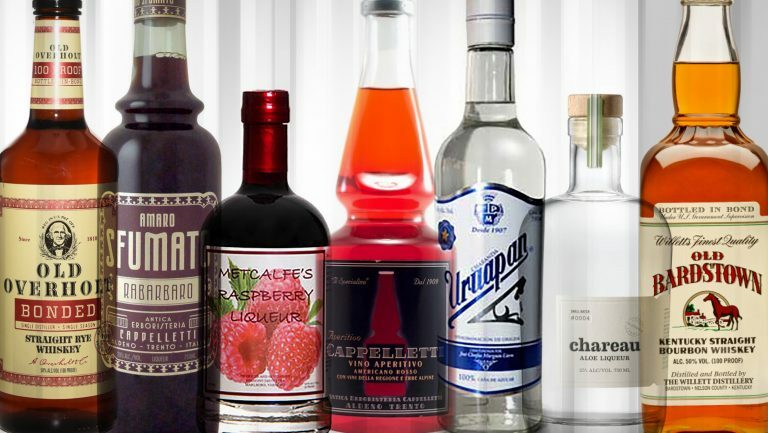 “With so many options, it’s not so difficult to have a unique selection—if you plan ahead.” Salazar says that Union Square Wines has taken to working directly with importers to bring in cuvées that may not otherwise be available to the shop. 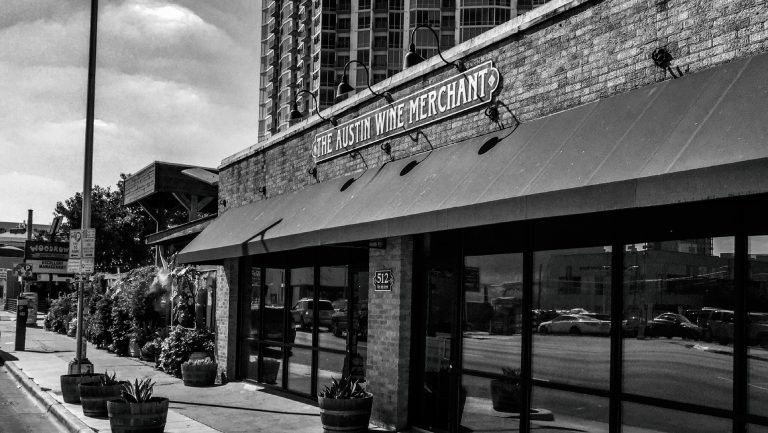 “Rather than get stuck carrying the same wines as every bottle shop in the city,” he says, “you can offer unique bottlings customers won’t find elsewhere.” Salazar notes that sourcing rosés from an importer requires planning well in advance. It’s not unusual, he says, for his staff to be thinking about the following year’s rosé selections throughout the year, with an eye toward stocking greater numbers of them in the warmer months. Tasting with an array of reps from various distribution companies helps ensure you’re getting a broad sense of what the market has to offer. “I buy from a lot of different distributors,” says Douglas, “so I’ll have a lot of rosés that [local] restaurants have.” He explains that this works in his favor because, on the whole, consumers become more comfortable with the rosé category when the wines are present on bar and restaurant lists. “Another thing we’ve enjoyed doing,” says Salazar, “is aging rosé.” He says that the wines of Lirac and Bandol age particularly well. “If you have the space, try sinking a case or three of Tempier or Pradeaux Bandol Rosé for a few years and bring [one] up as an early arrival when that first perfect spring day hits.” Aged wines are an extremely special commodity to begin with, and many retailers don’t think to lay down high-quality bottles of rosé. Providing an aged selection is a unique and fun way to set your selection apart from the rest. Douglas also recommends offering rosé in larger formats, such as magnums, double magnums, and imperials (6-liter) formats. “There’s nothing better [than a rosé magnum] at a barbecue,” he says. “It costs the customer 40 bucks, so that’s always good, and they’re a great option for retailers to buy.” When hosting friends or family at home in spring or summer, customers are likely to purchase multiple bottles of rosé anyway. The unique-format bottle is an exciting and memorable way to differentiate your shop from the competition. Bridget Michalski, the managing partner at Savannah Wine Cellar in Georgia, promotes rosé year-round to her customers, reiterating the idea that the wine is just as delicious after Labor Day as it is before. “We have a Rosé Soirée party in April, promoting it as a perfect Thanksgiving wine, and we feature it in our tastings all year.” Michalski tends to focus on smaller, more artisanal producers, as opposed to well-known brands and bigger names. Compared with last year’s numbers, rosé sales are up 20 percent in 2018 and have doubled over the last four years.